More than ever, companies are using mobile for maximum impact to drive opt-in growth, engage their audience, lower costs and improve overall audience experience. Unlike other advertising mediums like radio, print, or television, delivering personal content on mobile devices offers organizations a direct and immediate touch point that can be customized and personalized on hundreds of devices. According to a Harris Interactive study, Internet banner ads are ignored by 46% of website visitors because they are not delivered at a relevant time, while one in five say they ignore internet search engine ads. By contrast, according to a study commissioned by SinglePoint and reported by Tatango, nearly 99% of SMS messages are read, and more importantly, 90% is read within minutes. What’s more, a recent Interactive Advertising Bureau report posted at Mobile Commerce Daily details how 53% of mobile commerce users have made an in-store purchase as a result of using their mobile phone. Mobile promotions are an excellent marketing channel to achieve the goal of growing your audience, engaging them with personal offers, and measuring your organization’s mobile marketing efforts. Using mobile promotions to grow your mobile opt-in audience provides your company direct access to this audience, wherever they may be. Further perfecting this type of mobile marketing, you can send time-sensitive announcements at specific times during the day, days of the week, or for special holiday events. For brick-and-mortar companies, the challenge is a bit more difficult to drive foot traffic to a physical store. This is where SMS notifications can be effective when paired with a shopper’s location data, offering a personalized mobile promotional offer. Extending the shopping experience post-purchase is another great opportunity for your company to engage your audience. Post purchase social sharing — one of the most popular activity on mobile devices — is perfect for brand advocacy referral traffic, and another great feature of FunMobility mobile promotion software. Also, mobile surveys should be used in the overall mobile promotion marketing mix as another effective way to gauge customer satisfaction, feedback, and insights. These can be triggered via SMS notification post-purchase. Savvy marketers must continue to engage with the ever-growing trend of empowered consumers, who use their mobile devices to decide on where to throw their loyalty. 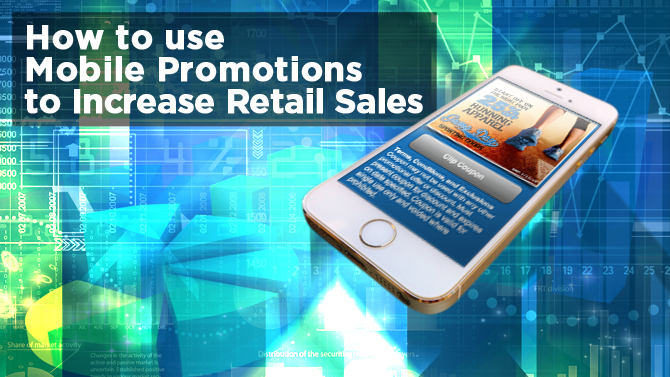 Mobile promotions gives companies a new set of tools to stay relevant, engaging, and personal. 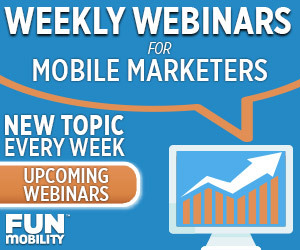 Multi-channel mobile promotions are the most effective way to grow, engage, and convert your mobile audience. By communicating with your audience in the right place at the right time, not only can you create engaging dialogue, but also build a predictable path to increase retail sales. To learn more, talk to a mobile specialist today!